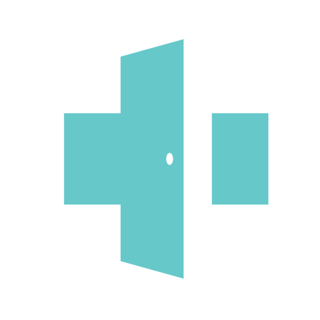 DrChrono EHR is an all-in-one EHR that seamlessly integrates patient scheduling, clinical workflow, and medical billing. With our state-of-the art EHR system, you enter patient information only once and data gets automatically passed to clinical charting, e-prescription, lab orders, and medical billing minimizing multiple data entries and data entry errors. DrChrono's EHR / EMR was voted the #1 Mobile Electronic Health Record six years in a row by Blackbook. • Safe and secure, meeting or exceeding industry standards. • Simple to use, offering a great out-of-the-box software as well as a customized solution. • ONC Certified to meet all requirements of the HITECH ACT & Meaningful Use Stage 1 & 2. 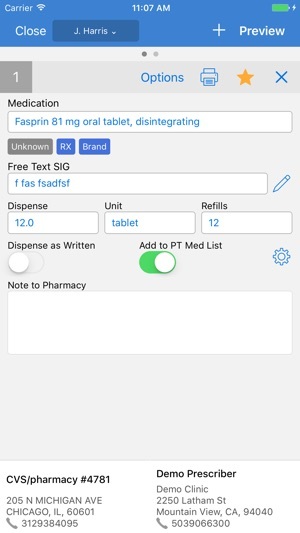 • eRX with EPCS: Electronic prescription including controlled substances directly from iPhone, iPad & computer. 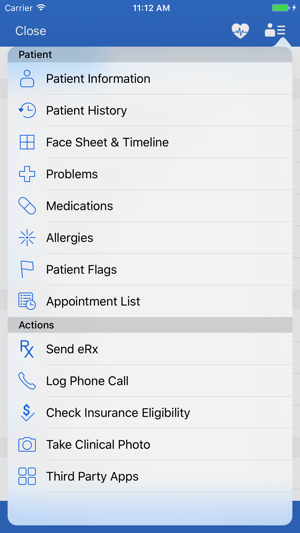 DrChrono EHR / EMR is available on iPad, iPhone, Apple Watch and web. 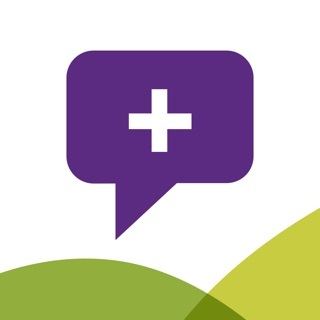 Download today and start providing better & faster patient care! 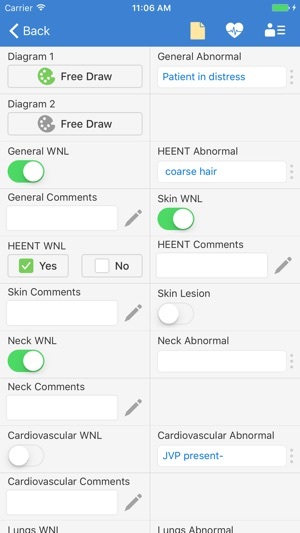 - Introducing the new Free Draw. This new design take advantage of the extra space on of the iPad, while retaining all the functionality on the iPhone. Tap on the draw button to switch between drawing and positioning. - Apple Pencil 2 support for Free Draw with double tapping for customized actions. Check your Apple Pencil settings on the Settings section of your iPad Pro. - Added the ability to save previous pen and color selection on Free Draw. - Adjusted appointment filter behaviors so when you clear the filters, it will really clear the filters. I am a student at Nassau Community College. One of the software systems that we need to learn is Drchrono. Drchrono is a stimulation software that we use through the AHIMA virtual lab. I loved using the Drchrono software. I like that it told me my mistakes as soon as I made them and correct my errors so I could better learn how to use it. I like that the software is a stimulation that teached you how to use the software as your using it. I am a very visual leaner so learning a software this way was really great for me. The benefits of this software is that it is so easy to use and very user friendly. 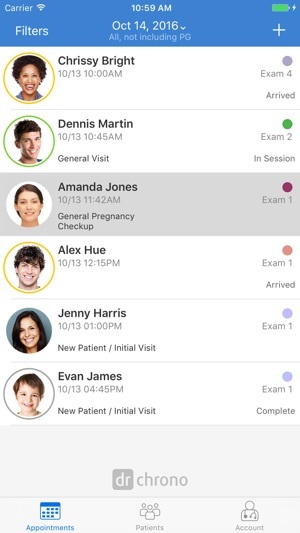 It makes it so easy to accomplish any task in the medical office needed that is used with the Drchrono software. I have used Dr. Chrono for three years. I was initially drawn to certain features like inventory and online scheduling that were not in many other EHR platforms. The things that could use improvement are not being printer friendly with reports, too many clicks to access certain features and functions, lack of choice of provider in online scheduling, and no patient ledgers. The price is high for a small practice. I would stay with them if the price was lower, but I can’t afford to double my monthly fees when I add a second provider to my practice. I have been a Drchrono user since 2012. They have come a long way. 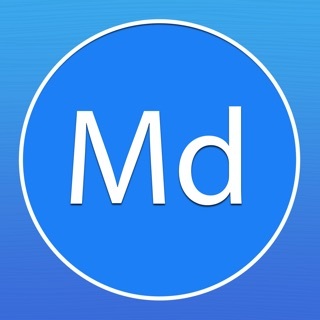 The app has improved by leaps and bounds. 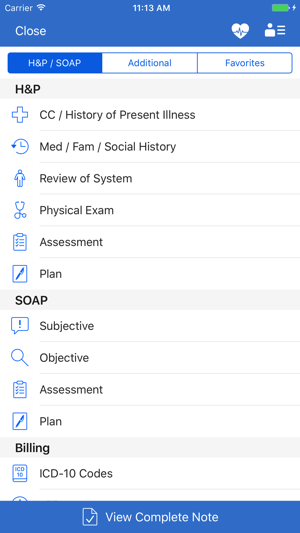 I emphasize the app because the beauty of this EHR is in the IPad and IPhone apps. My work flows beautifully. I can document easily with my attention never wavering from the patient. I can dictate when I want to which works wonderfully. The support is great and responsive as well. I used to have a dinosaur system for my office which I have since buried. Sign up with drchrono. You won’t regret it.